The number of Aussies opting for the higher NBN speed tiers is increasing, according to the NBN Co’s March 2018 report. More than a million premises have signed up for high speed broadband in the last four months alone. That equates to 37% of homes and businesses now on the NBN50 option, as compared to just 16% from this time last year. 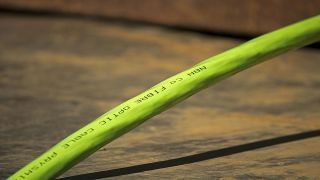 NBN Co claims that this surge is due to lower wholesale prices that have allowed resellers (RSPs) to purchase more bandwidth. Another round of wholesale bundles will be made available to RSPs in May, which could lead to better offers for the end user. But, while the price cuts have led to easy access to high-speed internet, it’s also increasing congestion during peak hours. While congestion was lower in February, that changed in March. According to the report, average network congestion is now 415 minutes per week as opposed to February’s low of 12 minutes per week on average. That’s not the only problem facing the NBN, though. The number of complaints about the national broadband service increased more than 200% in the last six months of 2017, according to a report filed by the telecommunications industry ombudsman (TIO). The report claims 22,827 complaints were lodged between July and December 2017 – 14,055 were about service quality and 8,757 about delays in securing an NBN connection. However, NBN Co is quick to point out that number of complaints was down by 16% in the last months of 2017. The Australian Communications and Media Association (ACMA) is working to come up with an effective way to handle NBN-related complaints, but the plan is yet to be put into action.